ATLANTA, April 15, 2019 – According to a new study released today by Cox Automotive, budget-minded, time-strapped, tech-savvy U.S. car buyers are spending a higher percentage of their shopping time online and less total time in market as they hunt for their perfect ride. The 2019 Cox Automotive Car Buyer Journey study also indicates consumers continue to be frustrated by new-vehicle prices and are more likely than ever to be shopping for used vehicles. Adds Helms, “However, we found that consumers are spending more of their shopping time online while making faster decisions and spending fewer days in market.” The findings: Car buyers spend an estimated 61% of active shopping time online – up from 57% in 2017 – and are in market an average of 96 days, a drop of more than 20 days in the past two years. What’s more, approximately 50% of used-car buyers and 44% of new-car buyers are now spending 30 days or less in-market. The number of dealerships visited in the car-buying process also continues to drop. On average, according to the 2019 Cox Automotive Car Buyer Journey study, car buyers who purchased from a dealership visited 2.3 dealers. In 2017, the average buyer visited 2.7 dealership. Further, 41% of buyers now visit just one dealership during the car-buying process, up from 30% in the 2017 study. As the price of a new vehicle in the U.S. continues to increase – the average price paid for a new vehicle purchased in December 2018 was $35,671, according to data from Cox Automotive’s Kelley Blue Book – more buyers are turning to used-car lots to fulfill their mobility needs. According to this most recent study, nearly two-thirds of car shoppers (64%) are now leaning toward a used vehicle. According to Cox Automotive research, the average monthly new car loan payment in Q1 2019 was $567, up 3.4% from a year earlier, while the average lease payment rose 2.7% to $500. The average monthly payment for a used car, however, rose less than 1% to $414. Affordability is a top factor for vehicle buyers according to Cox Automotive. 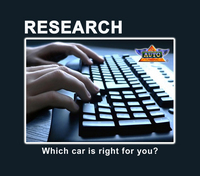 In 2012, approximately 54% of vehicles were priced under $30,000. That number has dropped to 35% today. Meanwhile, the number of vehicles priced over $50,000 jumped fourfold, from 6% in 2012 to 24% today. It comes as no surprise then that 48% of consumers feel that owning or leasing a vehicle is becoming too expensive, up from 42% in 2015. Although shopping for a vehicle has increasingly become an online activity and, in turn, is taking less time to complete, most consumers are not noticing a change. According to the study, an estimated 52% of buyers believe their most recent car-buying experience was unchanged from their previous experience; 39% believe it was better than before; 9% believe it was worse. Buyers who negotiate and complete their required paperwork online are notably more satisfied with the buying process, as are those who spend less than 2 hours total at the dealership. Completing paperwork and negotiating a final price are the top frustrations with car buyers today. According to the 2019 Cox Automotive Car Buyer Journey, few buyers perform those tasks online, despite the fact they would likely be more satisfied if they did. Less than 10% of vehicle buyers report negotiating the final price of their new vehicle online; only 5% filled out all the required paperwork. Yet, consumers who negotiated online or completed paperwork online spent 45 minutes less time at the dealership and reported being more satisfied with the dealership experience. Looking for Car Buyers? Look Online. Following a 20-plus-year trend sparked in part by the launch of Autotrader.com in 1997, the percent of car-shopping time spent online continues to increase. 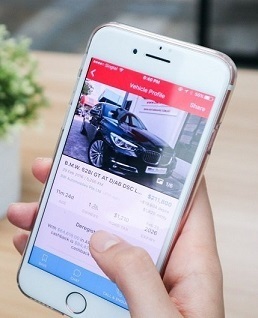 The 2019 Car Buyer Journey shows car buyers are spending 61% of their total shopping time online, up from 57% two years ago. Overall shopping time, however, has dropped for both new- and used-vehicle buyers. According to the Cox Automotive study, consumers today spend an estimated 13 hours and 55 minutes researching and shopping for a vehicle, down from 14 hours and 44 minutes in 2017. Third-party online sites such as Autotrader.com and KBB.com, two Cox Automotive brands, continue to be the most trusted sources for helping consumers choose the right product. When asked, 52% of buyers indicate a third-party website was used to make the final decision on a vehicle brand. Dealer websites were cited 34% of the time, while official auto manufacturer websites were cited by 33 % of buyers. Only 10 % of vehicle buyers trusted social media sites such as Facebook to help with their final decision on a vehicle brand. When ready to purchase, the study found that 34% of new-vehicle buyers and 43% of used buyers visit only one dealership. According to the 2019 Cox Automotive Car Buyer Journey, roughly one-third of new-car buyers ultimately choose a brand they have never owned before, with their decision mostly driven by product attributes and the deal offered. In courting new-vehicle buyers, automakers focused heavily on traditional television advertising are mostly wasting their time and money, according to the new study, which indicates only 13% of new-to-the-make buyers became aware of the make through television advertising. Word of mouth from friends and family is the most cited source of influence, followed by the internet, where third-party sites are the top driver of awareness.